The Volvo V90 Cross Country could make Indians fall in love with station wagons, says P Tharyan. Station wagons or estates were never really popular in India. But now, Volvo Auto India has brought in the Volvo V90 Cross Country, which is designed on the lines of an estate. I wondered why Volvo had to bring in such a model to India. But the magic unfolds the moment I get in and begin driving the vehicle. 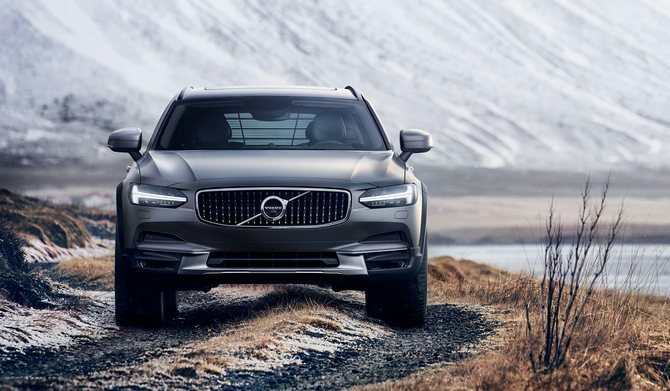 The Volvo V90 Cross Country is in a different league altogether when it comes to features, performance and off-road capabilities. The car sits on large 20 inches 10-spoke black and diamond cut wheels. The 245/45 R20 Pirelli P Zero tyres give it a confident look. 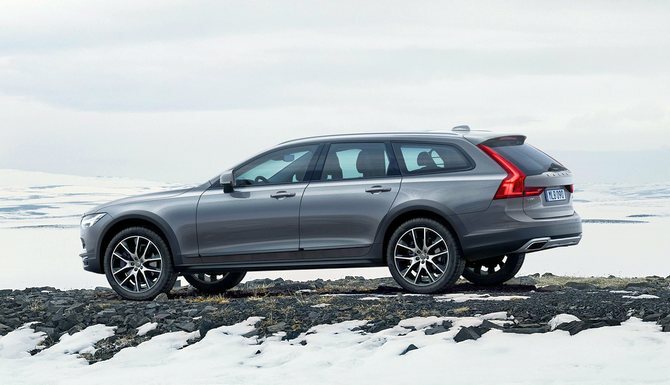 The V90 Cross Country has several upmarket features similar to the Volvo XC90 SUV and the elegant Volvo S90 sedan. The front has an uncanny resemblance to the S90 sedan in terms of design. The L-shaped LED tail lamps, the high gloss black decor side windows, black wheel arches, bright integrated roof rails, panoramic sunroof and dual integrated tail pipes add to the overall design appeal of the car. The car is 4,936 mm long, 1,879 mm wide (it increases to 2,019 mm when you take into account the mirrors), has a wheelbase of 2,941 mm and a height of 1,475 mm. It comes with a lower profile spare tyre, as compared to the regular four tyres fitted on to the vehicle. That could be a tad disconcerting for many drivers. The car has Nappa leather seats with 'amber in charcoal' interior. 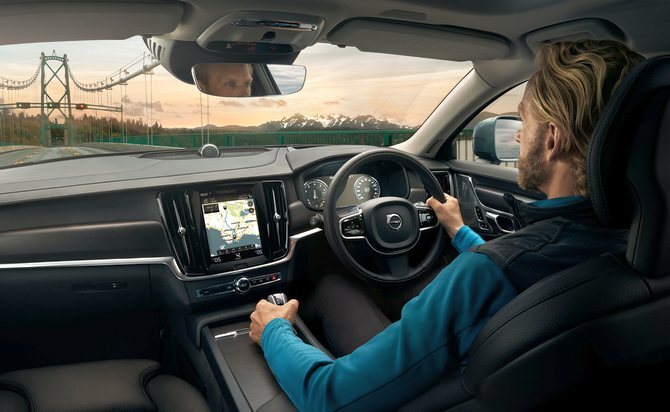 There are not too many confusing control buttons -- only a 12-inch screen on the centre console area that has almost all the functions to change settings, from that of the radio to navigation and the air conditioner. Manually operated buttons include the engine start-stop button, a scroll button to change the drive mode and two electronic buttons 'A' and 'P' for auto holding the vehicle in the Drive mode and for Parking, respectively. There are four different drive modes to select from: Eco, Comfort, Off Road and Dynamic. The car comes with four-zone electronic climate control, cooled glove box and heated steering wheel. Though the seats are immensely comfortable, the front seats get electric adjustments with memory settings and massage functions. These seats are also ventilated, and they get power-adjustable side and lumbar support and power cushion extensions. The Volvo has a huge boot space that can be increased dramatically by pushing down the rear seats with a touch of buttons placed in the boot space. So, from 560 litres of space you get 1,526 litres. The boot lid is power operated and inside there is a grocery bag holder and luggage net and back rest. The 19 speakers of Bowers and Wilkins upmarket audio system keep you entertained while you are driving. The D5 diesel motor surprises you with its extreme refinement. As for the turbo lag expected from diesel mills, this one has none because of the Power Pulse system that the car comes with. An electrically operated air compressor feeds air into a storage tank by sucking air from the air intake. The tank, in turn, diverts the entire compressed air to spool the turbo. So, every time you step on the throttle you get an almost instant response. 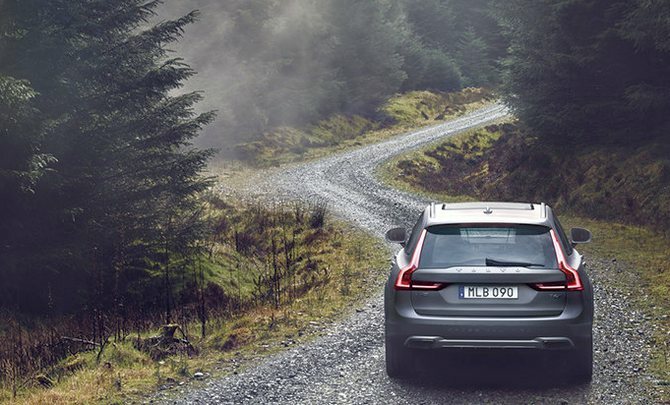 Safety can always be taken for granted in a Volvo car. This one, too, comes with airbags and inflatable curtains, EBAs, support systems like hill descent control, hill start assists, head up display and park assist camera. It's the radar-based safety system that sees adaptive cruise control at its best. You can maintain a safe distance behind a moving vehicle and in case the vehicle in front stops abruptly, your car too screeches to a halt. This car could very well redefine the way estates are seen in India.